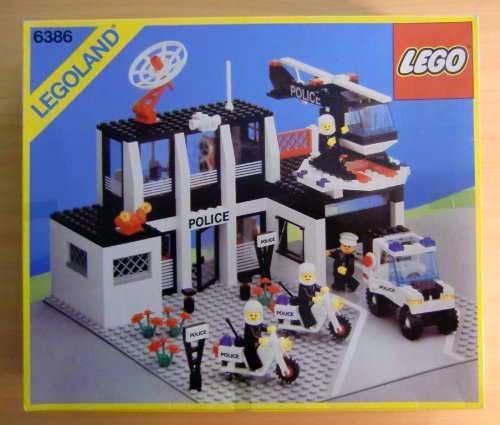 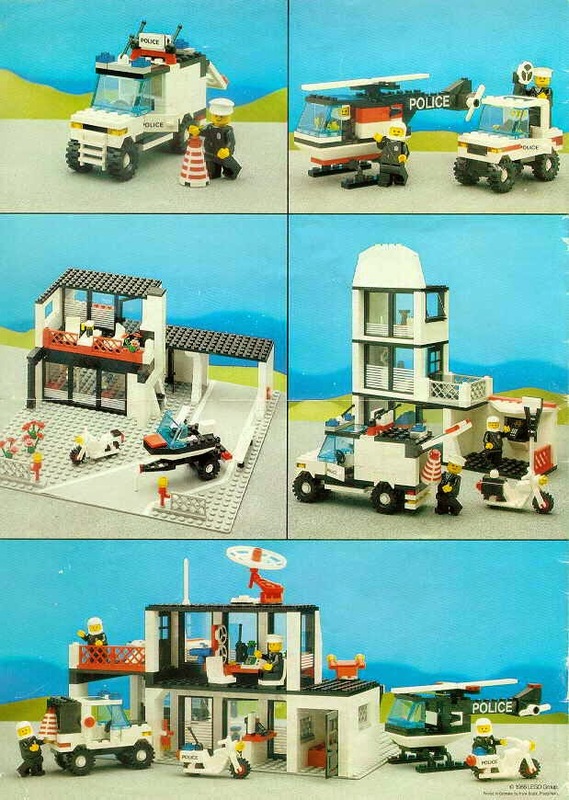 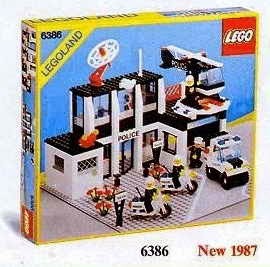 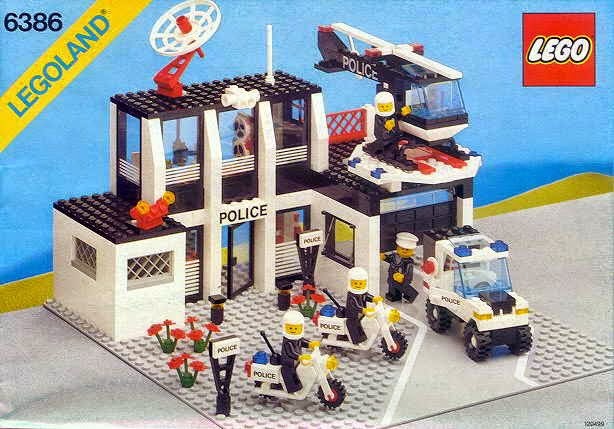 come with a police command base, a police car, a police helicopter and 2 police motorcycle. 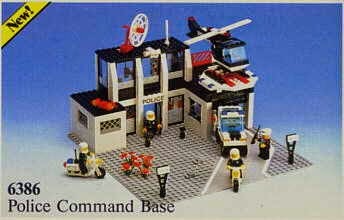 the base has a garage with rolling door, a helipad, a prison, a control room and a satellite dish. 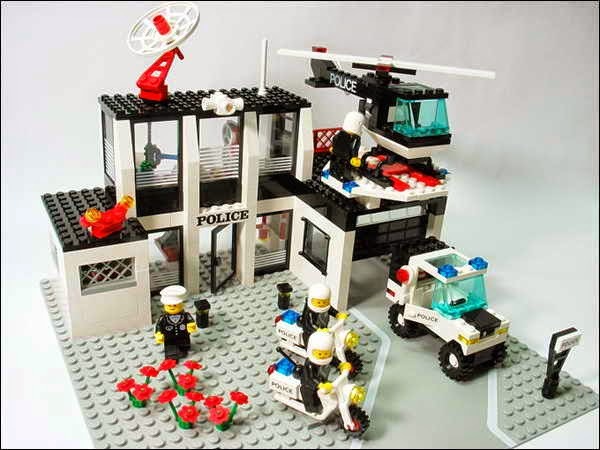 minifigs included a chief police minifig, a helicopter pilot minifig and 2 policeman minifigs.